Louisville junior Mallory Comerford broke the ACC Championship Record in the women’s 200 free on Friday, swimming a 1:41.60 to win by 2-and-a-half seconds. That broke her own record of 1:41.70, done in 2017, though it was still well-shy of her overall ACC Record of 1:39.80 from last year’s NCAA Championship meet. Comerford has gone a season-best at NCAAs in the 200 free in each of her previous 3 years with the Cardinals. Her ACC winning time is her season best this year, though she was seeded with a faster 1:41.29 based on a conversion from her swim at Short Course Worlds. That was from a converted 1:51.81 that broke the American Record in short course meters. 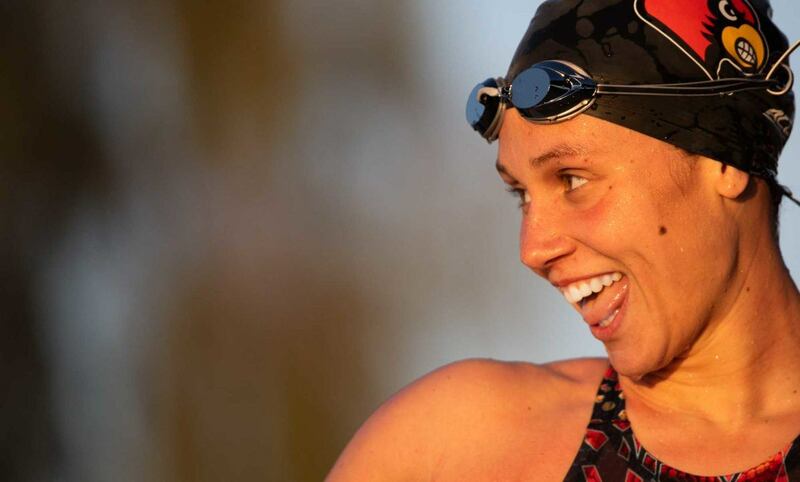 What’s most interesting about Comerford’s swim on Friday is that she was out in 49.43. That’s just .01 seconds slower than she opened up at NCAAs last year when she won the national title. That implies that she’s still waiting on a taper that will bring down the back-half of her race when she’s chasing Missy Franklin’s NCAA Record of 1:39.10 in March.